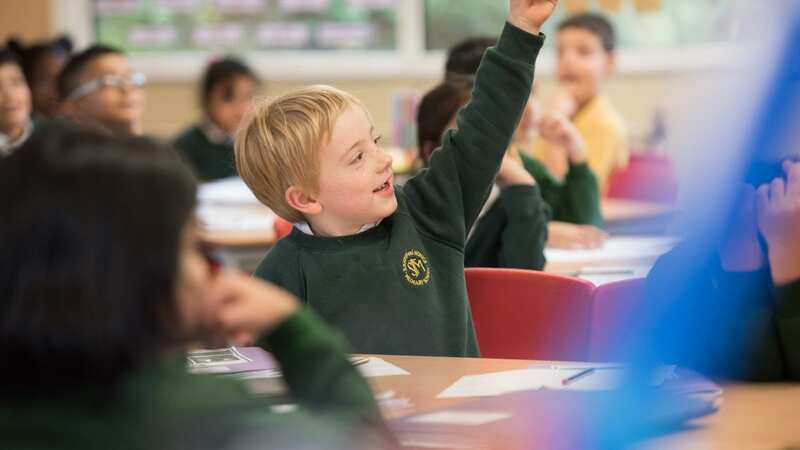 The Foundation Degree Primary Progression route enables students, who are suitably qualified, to enter the final year of the BA Primary Education with recommendation for QTS course. Students will normally be expected to have gained at least merit in a relevant Foundation Degree, or equivalent, and to evidence that they have recently spent the equivalent of 80 days in primary schools in the key stages relevant to the course and to demonstrate an understanding of and progress towards the Teachers’ Standards (2012). Students will be expected to have GCSE in English, Mathematics and Science and to pass the numeracy and literacy skills tests before commencing the course. The course draws on your experience and links this with a research-informed approach, which allows you to develop a critical understanding of primary education. You can expect to be introduced to a wide variety of disciplines, including aspects of pedagogy, curriculum subject knowledge and classroom management and classroom pedagogy. Through the range of modules, you will develop many skills and your understanding of how children learn, which will be transferable to a primary education setting. Modules will cover study skills, the development of learners, and approaches to teaching and learning in both theoretical and applied contexts. A range of work-based and desk-based assessment strategies will be used, including portfolios, presentations, written reports and essays. Academic Professional Tutors provide one-to-one tutorials to focus your target-setting and progress. There will be additional opportunities for educational visits to galleries and places of worship, fieldwork and international placements. Newman Initial Teacher Education graduates have a high employment rate; and are well respected in the region and beyond. Most students take up a position in teaching, although some pursue other careers using the range of transferable skills gained during study. Students will normally be expected to have gained at least merit in a relevant Foundation Degree, or equivalent, and to evidence that they have spent the equivalent of 80 days in primary schools and to demonstrate an understanding of and progress towards the Teachers’ Standards (2012). Students will be expected to have GCSE in English, Mathematics and Science at grade 4 (or C) or above and to have passed the numeracy and literacy skills tests by enrolment. A minimum Merit grade is required for FD, BTEC Lv 5 or HND and you MUST be registered for the NCTL Skills Tests by the time of interview and pass these tests by enrolment. You will need to obtain Disclosure and Barring Service (DBS) clearance, meet the requirements for capacity to teach and pass the National Skills Tests prior to starting the course. For more information on your DBS application please visit the How do I complete my DBS form advice page. You may be entitled to a student loan to cover the cost of tuition fees per annum. The aims for this module are set in the context of the QAA Framework for Higher Education Qualifications and they relate to the QCF level descriptors for level 6 study. This module is undertaken in a placement setting, within which students will demonstrate that they meet the standards for Qualified Teacher Status (QTS) within the context of their placement. This final professional development and experience module will enable students to take increasing accountability and responsibility for teaching pupils and fulfilling the duties expected of a teacher. Students will extend their knowledge and understanding of issues related to professional development and experience. The module enables students to observe, discuss, develop, and practise professional knowledge, understanding, skills, creativity and innovation in appropriate settings. During the experience they will have the opportunity, supported by specialists where appropriate, to demonstrate, with increasing independence, the qualities and skills necessary to teach and manage pupils, monitor their learning and critically evaluate and reflect upon their own knowledge, understanding and skills, and set targets for continued professional development and their Induction year. Enable students to meet the Standards for QTS based on Teachers' Standards (2012) which focus on teaching and learning, and professional conduct. Critically reflect upon the quality of their teaching and its impact upon all learners and use this information to inform practice throughout the placement and to set targets for the NQT year. Expectations for School Experience 2 and further details of specific tasks, and partnership arrangements are included in the School of Education Placement Handbook. This module will provide students with the opportunity to apply acquired knowledge and understanding of research approaches. Students will design and undertake an independent educational based research project, with the aim of extending their pedagogical knowledge in a specialist focus area. Students will adopt a systematic approach through developing a practical awareness of research designs, paradigms and ethical considerations. Allow students to evidence all of the above in their e-portfolio. These learning outcomes embed understanding of, commitment to, and critical analysis of equal opportunities, diversity and inclusion. Communicate information to both specialist and non-specialist audience. The module is designed to enable students to critically analyse issues in relation to management and leadership across settings. The students will develop relevant knowledge, understanding and skills attributed to management and leadership roles and responsibilities. In addition, they will learn to critically analyse theory and policy in relation to management and leadership issues and approaches. The organisation and management of change, and the potential impact of change on the individual, group and setting will be investigated. Critically assess knowledge, understanding and skills that can be utilised to promote the raising of standards in the learning and teaching, and in the effective deployment of staff and resources. These learning opportunities embed understanding of, commitment to, and critical analysis of equal opportunities, diversity and inclusion. Evidence aspects of all of the above in their e- portfolio. This module will consolidate and further develop learning undertaken in previous years. Educational research and practitioner input will enable students to develop their understanding and knowledge with regards to the expectations of schools and approaches to the curriculum. In particular there will be an emphasis on opportunities for creative development within schools and the curriculum so as to enhance pupil experience, understanding and knowledge. A selection of curriculum experts will share their experience and knowledge in the development of creative approaches within the primary setting. As part of the QTS qualification students will attend a week in schools to explore creative approaches to the curriculum making use of input from some of the guest speakers from this module. Upon completion of a personal reflection on the creative focussed week in schools students will gain a certificate recognising the work undertaken with pupils. This module will also work collaboratively with external agencies to further explore opportunities for creative approaches, e.g. BMAG. Support students to become creative, ambitious teachers. Evidence all of the above in their e-portfolio. This module aims to support Early Years practitioners as they critically investigate and develop their understanding and appreciation of the similarities and differences between native language learners EAL learners at different stages of language acquisition and how to support them within the classroom and the wider community as early readers and writers. It also allows for the consolidation of students’ own language skills. Effectively assess children’s attainment in writing in English/MFL/EAL contexts and plan for progression;. Critically evaluate and analyse their own MFL language competence. Within the context of current knowledge, statutory frameworks, current legislation and professional standards, students will critically reflect on their own practice and philosophy of education to prepare them for transition to their NQT year. These learning outcomes embed a developing understanding of, commitment to, and analytical discussion of equal opportunities, diversity and inclusion. Evidence their critical understanding of the current education context. This module will give students the opportunity to critically engage with current debate and research in analysis of mathematical misconceptions in a primary educational context. Students will have opportunities to critically evaluate a range of alternative creative approaches to teaching and learning in mathematics within the primary curriculum. Within this module, students will continue to audit their own knowledge and understanding of aspects of mathematics in the primary age range. This module includes development in subject knowledge of measurement and consolidation in number, geometry and statistics. Allow students to evidence all of the above in their e-portfolio including audit of own knowledge. Relate all of the above to their e-portfolio. This module will provide students with opportunities to extend pedagogical content knowledge and scientific enquiry skills, looking at contemporary and innovative approaches across the key stages. They will reflect upon and address key concepts and scientific phenomena that pupils have problems understanding and how such confusion may act as a barrier, preventing successful learning. Within this module students will apply and critique the science National Curriculum with attention focused on physical processes. Students will have the opportunity to carry out and evaluate scientific activities and investigations related to the development of pupils’ concepts and skills; critically evaluating the effectiveness and appropriateness of a range of resources with inclusion in mind. This module includes introductions to cross curricular approaches to learning and teaching within the context of STEM (Science, Technology, Engineering and Mathematics). Students will develop a critical understanding of approaches to planning, evaluation and assessment, and will use this to develop, inform and refine future learning experiences. During this unit the students will complete a subject knowledge science audit focussed on their understanding of physical processes. After each taught session the students are expected to keep an ongoing electronic journal, entering reflective observations about their learning. Allow students to evidence all of the above in their e-Portfolio (Mahara2). Critically evaluate and analyse their own science competence.